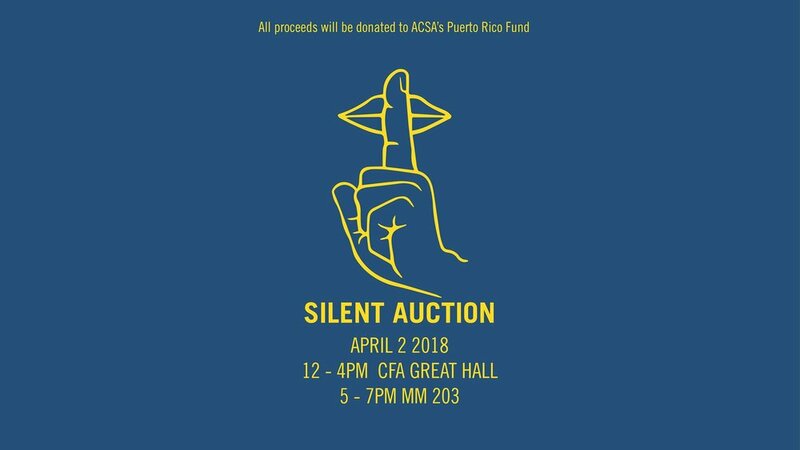 Come join AIAS CMU at our Silent Auction for Puerto Rico. We will be auctioning a wide range of donated items including baked goods, books, artwork and student commissions! All proceeds will be donated to ACSA's Puerto Rico Fund.